If you have a dog, your home may show wear and tear from your dog’s energy and curiosity. From scratched floors and stained carpets to chewed furniture, broken blinds, and ruined shoes, dogs are notorious for chewing on and playing with things we don’t want them to touch. Why not give your dog a chew toy you’ll both be happy about? Not only do elk antler treats strengthen your dog’s dental health, they’re also responsibly sourced! Male elk shed their antlers each year. Then, the dried antlers are gathered from the animals’ natural habitat and used as elk antler treats! The antler shedding process is a natural part of the elk growth cycle. No animals are harmed in the gathering of antlers or in the manufacturing of these treats. Plus, these treats are sourced and harvested from Bend, Oregon in the USA. No imports here! 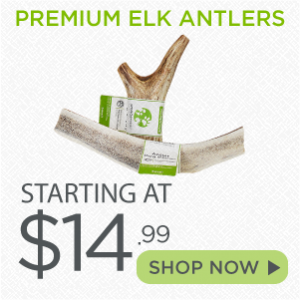 These elk antler treats are good for any dog size and are perfect for the strong, heavy chewers because the antler’s hard shell breaks down very slowly and the bone marrow center keeps even the most energetic chewer occupied. This bone marrow is the most nutritious part of the elk antler treat. The marrow is a rich source of iron, calcium, glucosamine, potassium, phosphorus, magnesium, and other vital nutrients. My husband and I have a big dog, and he likes to chew through every toy we get him. We have been wondering if antlers would be a good chew toy for him. That is great that antlers are odor-free and resistant to bacteria. It sounds like it would be a really great option! We will have to give it a try. Antlers are great! 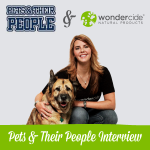 They’re safe, natural, and most dogs absolutely love them. Best of all, they last twice as long as most other natural chews. 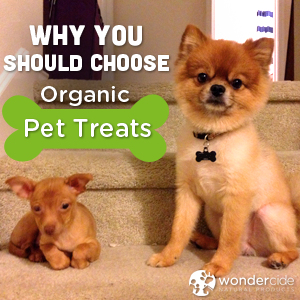 We can’t recommend them enough, and know your pup is really going to enjoy them!